Hey, all of your fabric crafters! With the holidays quickly approaching, we wanted to share some ideas of what you could gift to your favorite sewist… or give you a few items you could add to your own wish list! I am going to be honest, before I started working at Cricut, my sewing skills were rough… and that is if I am putting it nicely. I always viewed the act of sewing to be so relaxing, but the pattern tracing, pinning and cutting made me want to quit before I started. When the Cricut Maker was released last August, I was immediately hooked. No more paper patterns to pin and trace-- and it will cut for me? Sign me up! So while I am not a professional seamstress, I will share with you what I have learned over the last year as I have dipped my toes into the sewing industry! If you are like me and aren’t a sewer just yet, that doesn’t mean you can’t be one! I will recommend a list of awesome products to get you started! Or if you are already a professional seamstress—I assure you these tools will give you major heart eyes. And if you are being a generous Jill, you cannot go wrong when gifting these tools to your friends and family. Whoever you are—we have you covered! 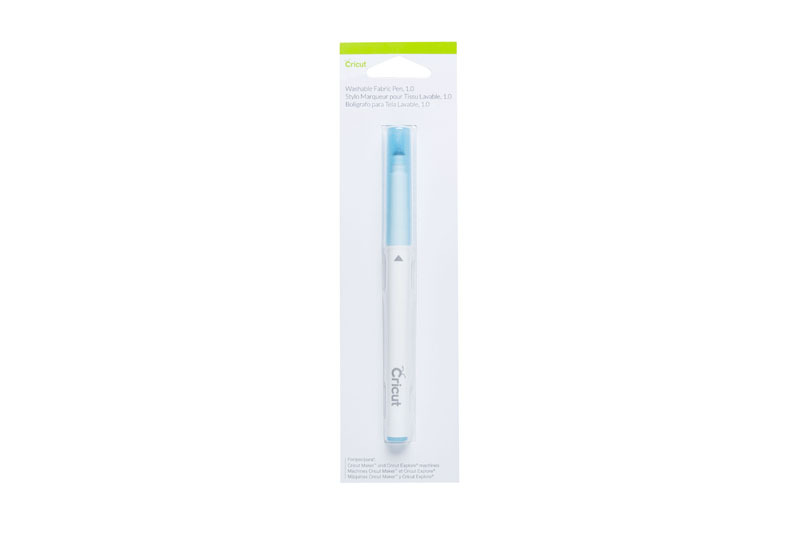 The Cricut Maker is the ONLY electronic cutting machine on the market that has a rotary blade allowing you to cut through everything from silk, cotton, and denim to canvas and burlap without any backing or stabilizer. Choose from hundreds of sewing patterns in the Cricut® Library, then flawlessly mark and cut with your Cricut Maker. You get to do the fun part: sewing! Cut pieces to create quilts, bags, accessories, décor, stuffed animals, and much more. While this is the perfect machine for every seamstress to add to her craft arsenal, it does so much more than cutting fabric. With its revolutionary Adaptive Tool System and an expandable suite of tools, Cricut Maker gives you the freedom to make virtually any DIY project you can imagine. Switch to the Knife Blade and cut chipboard for added dimension and depth. Cricut Maker has the tools to cut hundreds of materials quickly and accurately, from the most delicate fabric and paper to matboard and leather. Visit shop.cricut.com to see Cricut Maker. It comes in three colors and different bundles so you can choose what is right for you. Are you one of those people who love all of your tools to match? Me too! When we came out of with these sewing tools, my heart almost exploded. Measure, cut, pin, and stitch in style with this premium kit that includes every essential for all of your sewing and quilting crafts. This all-in-one kit includes 7 sewing and quilting essentials and is the ideal companion for the Cricut Maker. It even includes an adorable Pin Cushion that looks like a mini Cricut machine! 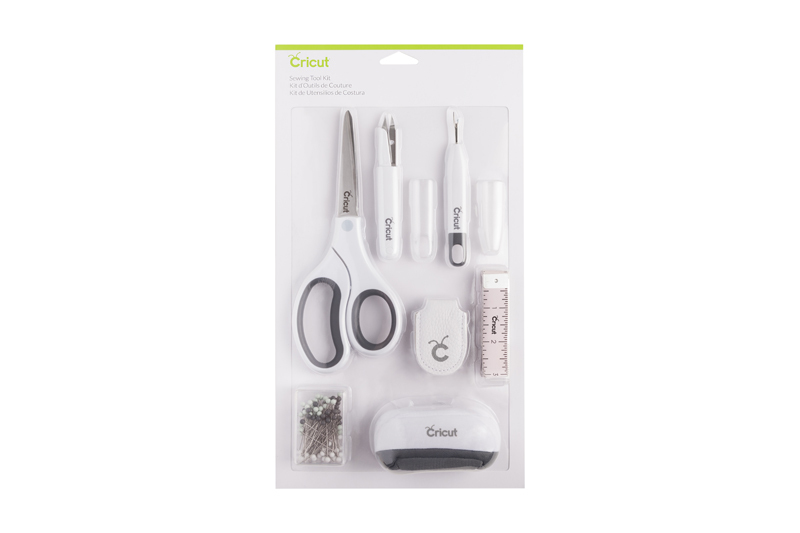 Find the Cricut Sewing Kit on shop.cricut.com. If you already sew, then you know the importance of a self-healing mat! 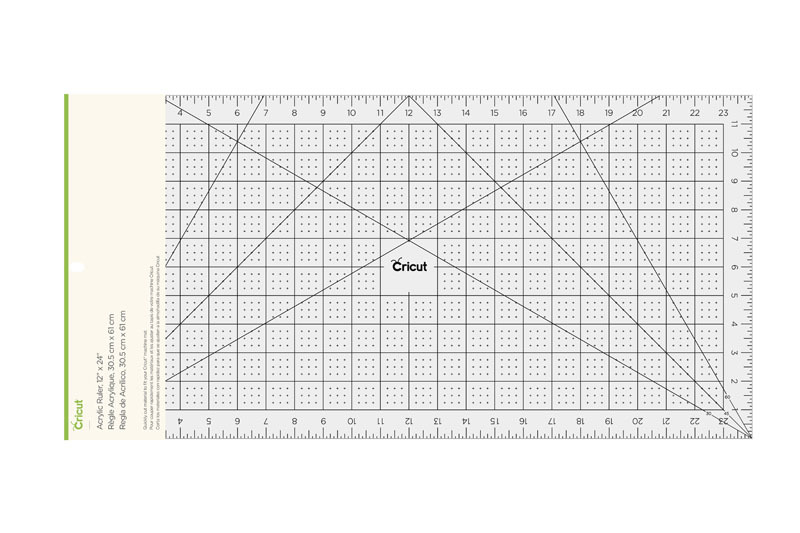 While the Maker will cut your patterns for you, this mat will provide the perfect surface to cut your fabric down to size to fit on your Cricut FabricGrip mats. It is two times as strong as anything currently on the market and has multi-angled grid line that will line you up for success time after time. Visit shop.cricut.com to see the Self-Healing mat in a number of sizes and colors. Okay—this rotary cutter is a game changer! Not only is it so pretty, but it can also cut delicate silk to several layers of thick fabric like denim. Slide the top button to reveal a 45mm or 60 mm rotary blade made from premium steel. There's a button that safely activates the quick-release blade cover and eliminates stray cuts when not in use. For someone in your life that is interested in testing out sewing crafts, this is a great beginner gift. 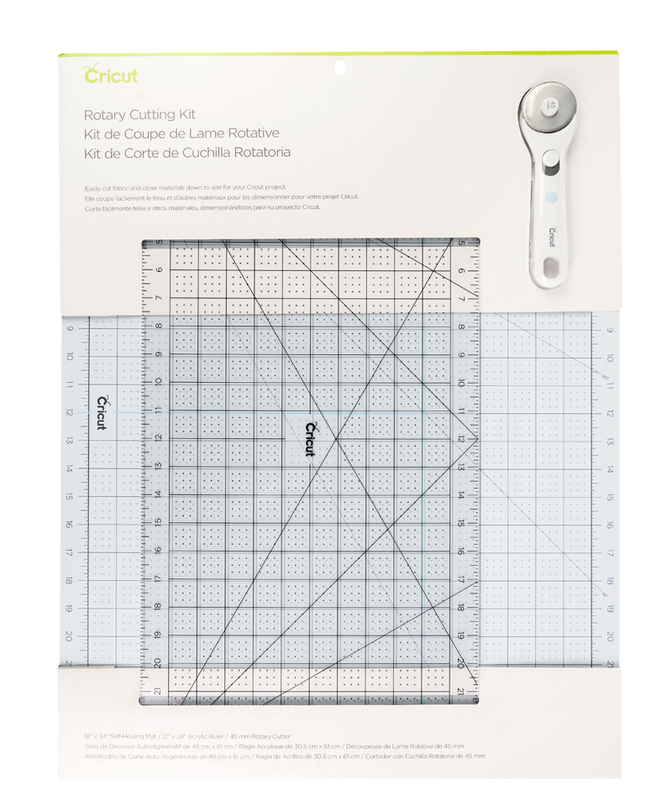 Find the two different sized Rotary Cutters on shop.cricut.com. I feel like I am constantly saying this… but Cricut really has thought of it all! When the Maker was released, there was no easy way to cut your fabric down to size to fit on your Cricut FabricGrip Mat. I would struggle to find a straight edge long enough to cut my material to length. Well, I am happy to say, that is no longer an issue! With this acrylic ruler, place your material on your self-healing mat, line up your acrylic ruler over your material, and with your rotary cutter, cut it down to size. Now you can get to sewing even faster! 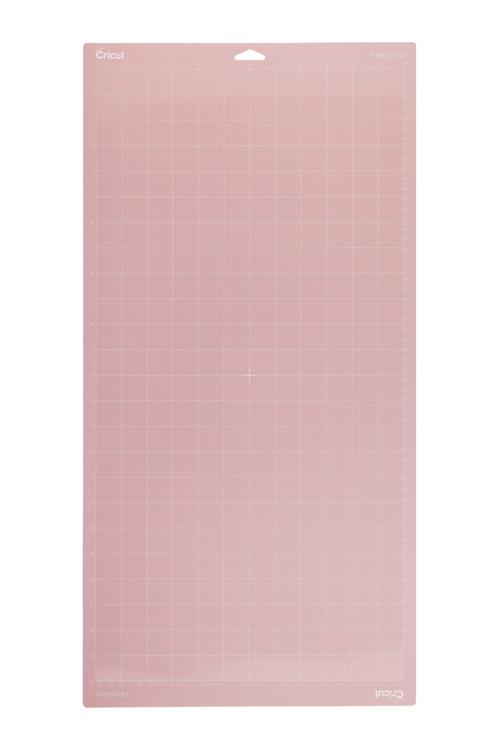 Visit shop.cricut.com to shop the Acrylic Ruler in different sizes and colors! Have I convinced you that you need the self-healing mat, rotary cutter, and acrylic ruler? Don’t you worry—buy them in this set, save some money, and get so excited to craft! This set comes with a 45 mm Rotary Cutter, 18” x 24” double-sided self-healing, and the 12” x 24” Acrylic Ruler. You can find this kit on shop.cricut.com. Do you already have everything listed above? What about this?! Have you see our brayer and broad tip tweezers? This brayer is the perfect tool to press down your fabric onto your FabricGrip Mat! 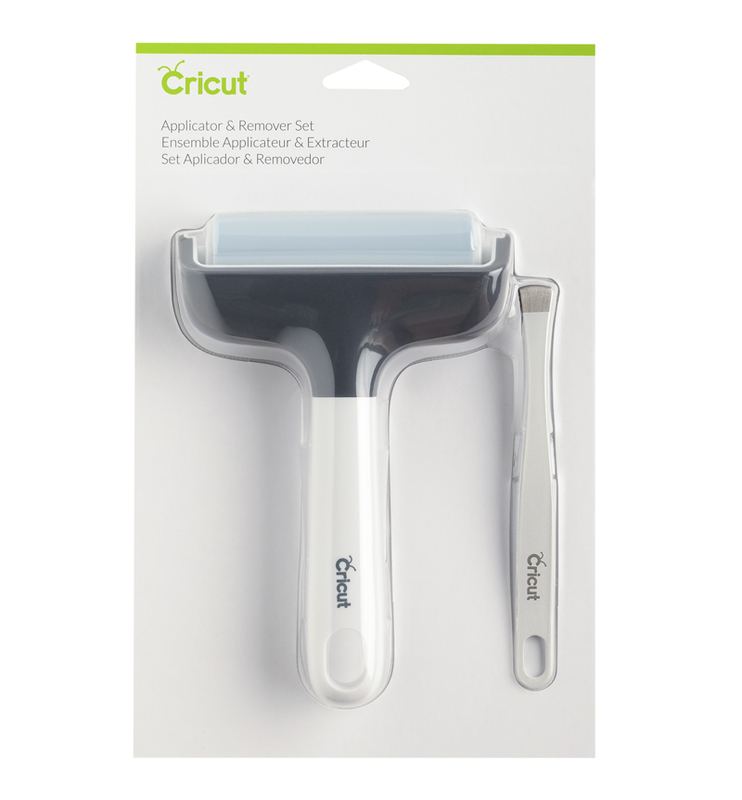 It smooths out all wrinkles and bubbles setting your Cricut Maker up for perfect cuts each time you craft. After your cut completes, use the tweezer to gently remove the pieces from the mat. This will prevent your fabric from fraying as you remove it. This set is a must-have if you are crafting with fabric! Shop for this set at shop.cricut.com. This Washable Fabric Pen will save you so many headaches when working with your sewing patterns. Did you know that the Cricut Maker will draw all of your pattern markings on your fabric for you?! Now you can just stitch along your seam allowance guides, line up marks, and finish your projects even quicker! Once you are done, rinse the markings out with water and no one will ever know they were there. These are the perfect stocking stuffer for Cricut crafters and sewers everywhere! Find them at shop.cricut.com. Your Maker comes with a 12" x 12” FabricGrip Mat, but several of the patterns in Design Space call for a 12" x 24” long mat! Don’t get caught off guard and keep one of these on hand for your larger projects! This mat has the perfect blend of a delicate grip to prevent your fabrics from fraying and increased strength of durability so that your rotary blade will not cut through it. Find Cricut’s FabricGrip Mats on shop.cricut.com. 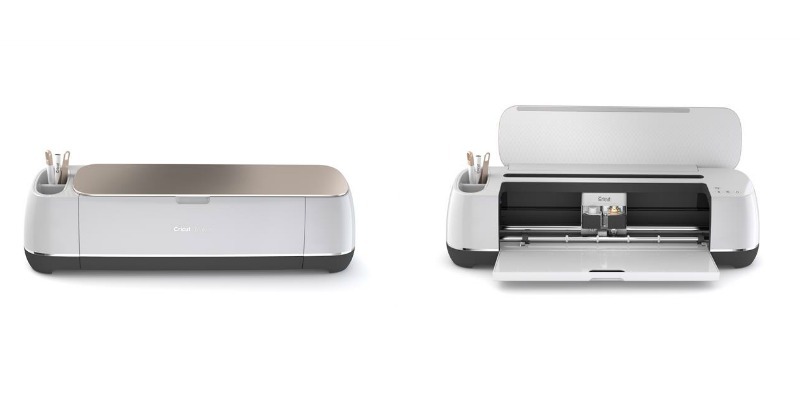 So now that you have everything you need to be a Cricut and sewing pro, where do you start? Well, I would recommend getting some materials to cut!!! Cricut has a large selection of coordinating fabric packs for you to choose from. Choose from a fabric sampler or purchase a quilt kit! You can’t go wrong with any of our fabric options. Shop our fabric selection at shop.cricut.com. So there you have it—my top 10 gift ideas for your favorite seamstress or someone interested in getting started with sewing and Cricut. While some projects can be completed by hand sewing with a needle and thread, I would recommend investing in a sewing machine if you don’t already own one. Do you already own some of these Cricut products? Tell us in the comments which ones you have and already love. Or if you don’t own any, share which ones are on your wish list this year! We can’t wait to see what you create! Vert gold gift for cratère. Please contact Silhouette to see the different features of their machines. Can this be used to cut out things like dress, shirt and pants patterns or just basically quilt squares and triangles? 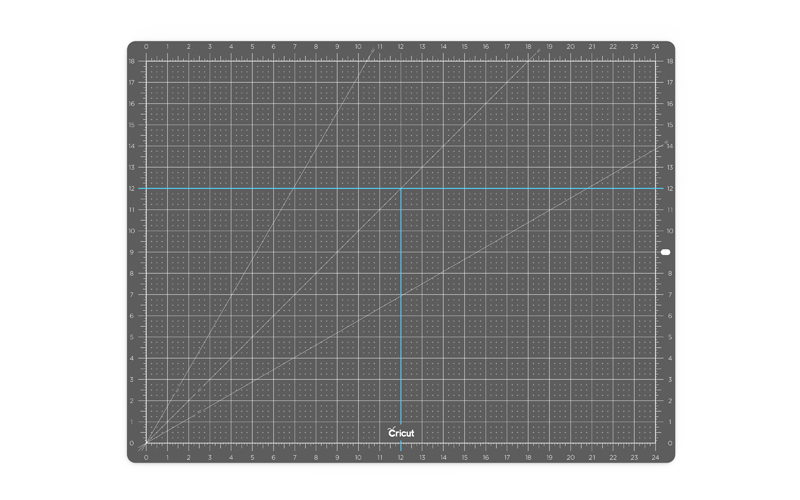 The biggest cutting size is 11.5 x 23.5″. With light cottons, you can cut 2 layers, so could potentially cut something larger that is symmetrical if you fold the fabric over. You could make accessories, small pieces of clothing like corsets, and clothing for kids and pets. Love the Cricut is wonderful for appliqué , etc. Have hand quilted for many years and would love one someday. Have seen such beautiful projects from many people. My neighbor has a Silhouette and still the Cricut is hands down a wonderful machine. Love all the matching tools as well, as love to have the best in tools for classes, will most definetly be getting the tool set. Thank you.